Do you even KNOW how much good stuff is on the c-list right now? I'm currently looking for some new chairs, so that's been my most recent search. Here are a few I'd love to make mine. 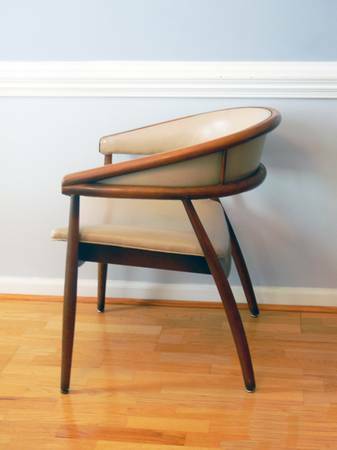 $140 for a possibly-Thonet chair...I would (and may) offer more like $90 and see what happens. It was just posted a day or two ago, so they probably won't be flexible yet, and by their labeling it's clear they know what they have, but it can't hurt to put my offer in the back of their mind, in case they can't sell it. It's sculptural and lovely. In my home, the back would be visible, which makes this one even more enticing. 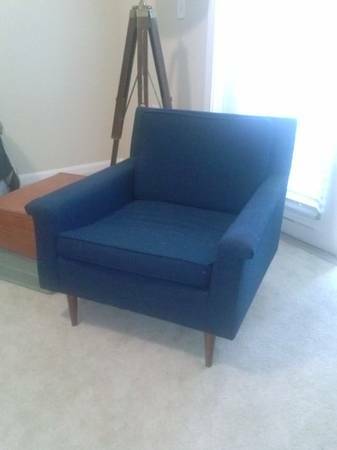 $300 for this low-profile dark blue upholstered chair is steep, but could be worth it IF the fabric is high-quality and in good condition, which I can't confirm from the pictures. Real nice though. A quick tip for you: searching "pairs" or "chairs" will most likely give you sets of seating, which in my opinion are always more valuable than singles. 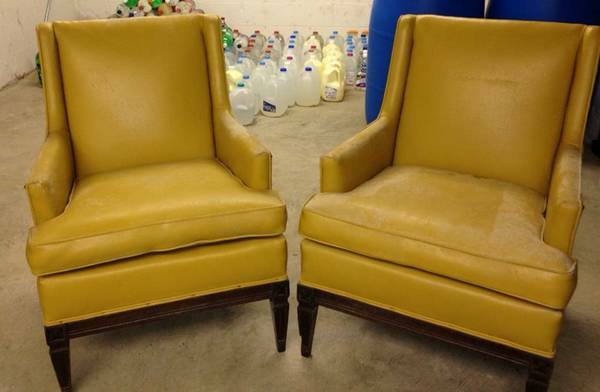 That's how I found these two gold leather wing backs. They would very much work with my color scheme, and leather (or faux, like these almost definitely are) is easy to clean. Plus, $150 for the set? C'mon now. Even I can afford that. Although they won't work in my living room, this is a set of 7 chairs for $25. Wha? They're so fun! 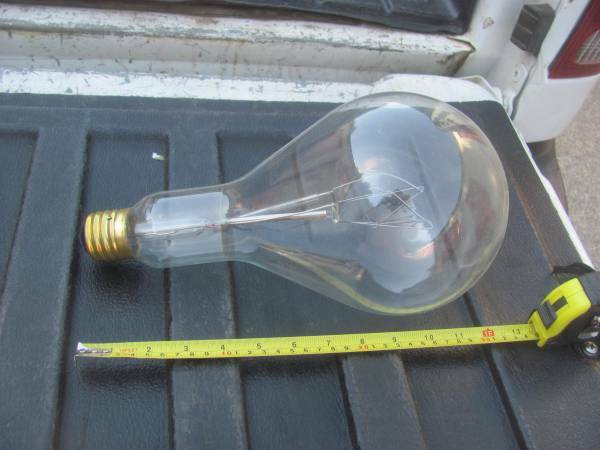 Also, slightly random add-on that I need your help with: 1 ft long light bulbs. HOW COULD I USE THESE? 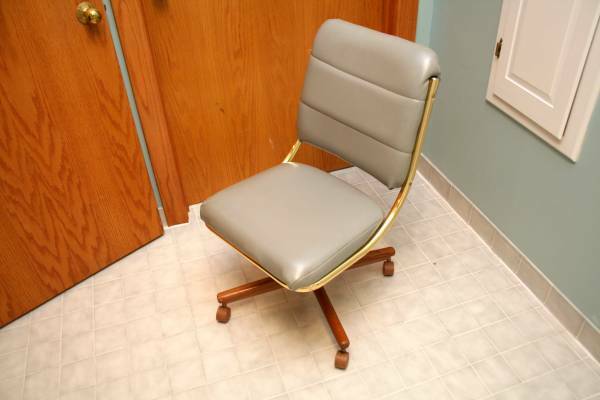 This is the exact kind of Craigslist find I want to horde, because eventually it could be precisely what I need. Please send your encouragement, nay-sayers need not reply.